On October 1, 2012, Professor Reimund Neugebauer took office as Fraunhofer President at its headquarters in Munich. He is now in charge of Europe's largest organization for applied research, with more than 20,000 employees. 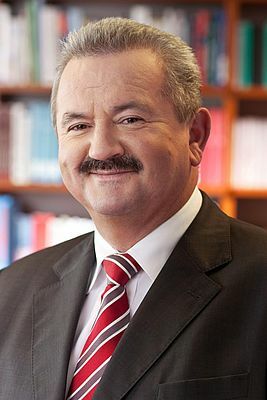 The Senate of the Fraunhofer-Gesellschaft elected him in May. "I am truly looking forward to taking over this function," says Professor Neugebauer. "Over the past several years, Fraunhofer has achieved tremendous progress. We have succeeded in raising our profile in the political and economic arenas, both in Germany and internationally. And with systems research, such as in electromobility, we have created an excellent tool for internal networking. On this basis - a broad approach within the Fraunhofer-Gesellschaft and collaboration with industry - we will be able to achieve quantum leaps for individual industries, with the aid of systems research." A major focus for Fraunhofer's future development, from Professor Neugebauer's viewpoint, is to secure and to reinforce scientific excellence.